Fruit flies gone wild: why outer space accelerates the reproduction cycle? Four generations of flies were raised aboard the ISS, and scientists believe the flies' heightened activity may be related to the particularities of embryo development in space. At the end of January Russian scientists completed a reproduction experiment, raising four generations of fruit flies on the International Space Station (ISS). The researchers were shocked to find that the flies reproduce several times faster in space than they do on Earth. Fruit flies born in zero gravity in orbit around the planet reproduce faster than on Earth. This conclusion was made by a group of Russian biologists who studied the flies' reproductive habits in outer space. "A key role in this process is played by the change in protein content," said Irina Ogneva, director of Physics-Mathematical Sciences at the RAS Institute of Medical-Biological Problems. "Protein influences the intensity of embryo cell division." "This experiment is important for understanding how to reverse processes that occur, let's say, in the cosmonauts' organisms in zero gravity," said Ivan Moiseev, scientific director at the Institute of Space Policy. Fruit flies are ideal for these types of studies because they reproduce quickly and biologists can observe mutations in a short time span. The main danger in orbit for humans and other living creatures is changes in cells caused by external factors. Scientists have been studying the mutation process for several decades, especially the destruction and restoration of cells in space. Scientists hope the experiment will help develop medicine that can be used to restore cosmonauts after space flights. Moreover, studying the change of cell protein composition will help form defense mechanisms against Alzheimer and Parkinson's diseases. 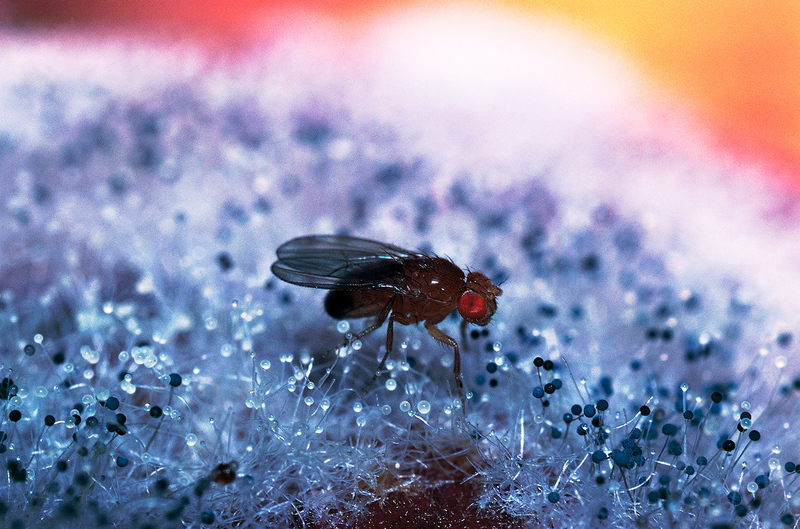 "Many studies that helped to develop new medicines began with fruit flies," said Ogneva. Not everyone agrees, however. Alexander Zheleznyakov, a scientist at the Russian Academy of Cosmonautics, said it's unlikely that a specific new drug will appear in the near future. "Experiments on fruit flies were performed at space stations in Soviet times," said Zheleznyakov. "But people belong to a different species of living beings. When research is made on biologically more complex life forms, then we will be able to speak of how to put this knowledge into practice."